Ned has volunteered some computer space, skills, and experience with our family tree. The result is great! If you have done some research on your family tree, please submit what you have to family@braatz.com. A GEDCOM can be converted to a web-browsable family tree, as Ned has done with his own. However, any information you have on your family tree would be welcomed as plain text. From Wolfgang Braatz, who has done so much to document the nearly 10000 historical records of Braatz/Bratz family members. I am the son of Staci E. Bratz(30Jun1967-), daughter to Charles R.
I am the great grandaughter of Mathilde (Tillie) Bratz who was born in 7/1854 in Ubedel in Curow. I have this information from a marriage record of one of her daughters in Milwaukee, WI. My great grandmother married (in Bublitz) Herman Pirch (other spellings of his name were Puerch, Perch, Pierch). After he died in 1900 in Milwaukee, she remarried a man with the last name of Schollenberg. She died sometime after 1920 and before 1930, but I am not sure when. She gave birth to 13 (Pirch) children - some in Germany and some in Milwaukee, Wisconsin. Some of the children may have stayed in Germany as I can only account for 9 of the 13. One of her 15 children was Alma Hulda Pirch, my grandmother - born in Milwaukee on 6 Mar 1898. I am interested in who my great grandmother's parents were, and have not been able to go farther back than her birthdate with no mention of her parents. Here is a Descendant Report for Henry Bratz, with 4 generations shown. The hope is that we find a connection with Henry’s ancestors. Bob's contact info is on the last page of the report. This is the family of David Bratz. We're still working on getting it accurate and complete. My name, Eric & Tanya Braatz of St. Charles, Missouri. St. Charles County is just to the West of the City of St. Louis. About 25 miles from down town St. Louis. I am a Professional firefighter-EMT. I've been in my career since 1994. I have a 1 year old daughter named Erica. My parents, Clifford & Jackie Braatz live in Bunker Hill, Illinois, about 70 miles North East of St. Charles. My father is a retired Professional Firefighter, a Battalion Chief with having served his departments community for 33 years. He served in Vietnam in the U.S Navy aboard the USS Forrestal and the USS Intrepid Air Craft Carriers, both seeing action off the coast of Vietnam. My Grandfather, Arthur Braatz of Beaver Dam, Wisconsin (who died in late 1980) Lived and grew up on his families dairy farm. Once old enough, he served in WWII in the U.S. Army, Infantry, in an Anti-Tank platoon in Europe. Back home he and his family moved to St. Louis, Missouri. Here in St. Louis he had his own welding business, which is where my father and Uncle worked prior to and through out their high school years. My Uncle, Bob Braatz of St. Louis, MO (Died in 2002) He worked at my Grandfathers Welding shop until he was of age to join the U.S. Navy; shortly after my father had signed up and went to war. My Uncle Bob served on board the USS Enterprise Air Craft Carrier. He also served aboard the Carrier USS Intrepid, but during a different deployment then that of my fathers. Once out of the Military, My uncle worked as a professional welder here in St. Louis for several different large Industrial Boiler manufactures. My Uncle had to children; Anna Braatz, now living in Nebraska, and Rob Braatz who lives in a small rural town in Southern Missouri. Wilhelm BRAATZ was born about 1838 in Prussia. He lived in Little Wolf, Waupaca Co., Wisconsin in 1880. He was a Carpenter. He was also known as Williams Bratz. Philips, Price Co., Wisconsin in 1900. In 1910 he was a Laborer - Tannery. He was naturalized in 1912. He lived in Gingles, Ashland Co., Wisconsin in 1930. He died on 11 Jul 1948 in Ashland, Ashland Co., Wisconsin. He was buried on 13 Jul 1948 in Mt. Hope Cemetary, Ashland, Ashland, Wisconsin. Frank F BRAATZ and Margaret K STEARNS were married on 4 Jun 1891 in Bear Creek, Wisconsin. Margaret K STEARNS (daughter of Henry STEARNS and MARGARET) was born on 30 Aug 1866 in Wentenberg, Germany. She immigrated in 1883. She was naturalized in 1912. She died in 1943. A. Matie K SMITH was born on 9 Apr 1888 in Weyauwega, Wisconsin. She died on 21 Jun 1979 in Ashland, Ashland Co., Wisconsin. 1971 in Mt. Hope Cemetary, Ashland, Ashland, Wisconsin. B. Henry R BRAATZ was born on 23 Jun 1892 in Weyauwega, Wisconsin. He died about 1934 in Munising, Alger Co., Michigan. C. Margaret S BRAATZ was born on 21 Jun 1894 in Philips, Price Co., Wisconsin. She died on 2 Dec 1974 in Munising, Alger Co., Michigan. She was buried on 6 Dec 1974 in Mt. Hope Cemetary, Ashland, Ashland, Wisconsin. She was also known as Margurite Braatz. D. Alice M BRAATZ was born on 27 Apr 1898 in Wisconsin. E. Agnes Catherine BRAATZ was born on 4 Feb 1903 in Mellen, Ashland Co., Wisconsin. She died on 9 Apr 1998 in Merrill, Ashland Co., Wisconsin. She was buried on 14 Apr 1998 in Saint Agnes Cemetery, Ashland, Ashland Co, Wisconsin. She was also known as Agnes K Braatz. She was also known as Agnes Mary Braatz. Agnes Catherine BRAATZ and Maurice Earl CORRIGAN were married on 12 Apr 1923 in Iron Mountain, Dickinson Co., Michigan. 25 Mar 1990 in Kingsford, Dickinson Co., Michigan. He was buried on 25 Mar 1990 in Saint Agnes Cemetery, Ashland, Ashland Co, Wisconsin. II. William BRAATZ was born about 1870 in Wisconsin. III. Ida BRAATZ was born about 1879 in Wisconsin. However, maybe you want to include my Braatz ancestors as well. There are in total 5 Persons named Braatz in my family tree. The first entry said, that the Braatz family came 1732 from Salzburg They where forced to move, because of the lutherian religion. They stranded in Kermushiemen, Eastprussia. Marias and Friedrichs had a son called Friedrich Braatz born 29.5.1851 in U. and died 11.7.1884 in U. They had a doughter named Minna Braatz, which is my great grandmother. Born in U. at the 20.6.1883 and died 20.8.1970 in Wolfsburg. After the death of Friedrich Braatz 1884, Wilhelmine Braatz married another person from the Braatz family called Leopold Braatz (born 12.12.1853 and died 14.1.1915). Unfortunatly I don't know for shure, Leopold was related to Wilhelmines first husband. Maybe it is also interrested the know that Uszpiaunehlen (yes, thats the right spelling!! ;)) is in Eastprussia was called later also Kiesdorf and Fohlental. Hope that was not too much information. It would be very exiting, if we would find any relation to the Braatz of your list. I'm the son of Skip Braatz, and I live in San Jose California. 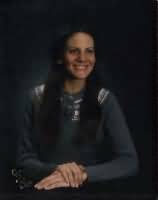 My sister Lauren Braatz lives in Denver, CO. My Grandmother Pearl Braatz was married to Darrell Braatz and now splits her time between Buffalo, NY and California. My aunt Nancy Braatz-Judas also lives in San Jose with her husband and two children. My Grandmother (Uhl family) is from Bruschale very close to Frankfurt. My Grandfather (Braatz family) is from the Prussian Side of Germany near Sala (Sp?). Darrell Braatz's family settled in Wausau, Wisconsin. He moved to Buffalo with his Mother and Father and we still have some Braatz family back east. Darrell "Smiley" Braatz is my grandfather (Dartmouth Grad). Darrell Braatz set a Dartmouth College scoring record in football, with 3 touchdowns in one game. One family tree branch (mine) is as follows: Rudi Braatz (* 1942), Fridoldo (1917-1968), Ernesto (1893-1970), Gustav August Friedrich (* 1854 in Wopersnow, Pomerania), Johann August (* 1835 in Leckow or Reckow, Ruetzenhagen), Johann Braatz (* 1812). A brother from Johann August (1835) went to the USA, but I do not know his name. Jackie wrote to us recently and we wanted to share some of her more recent developments with all of you. Here are a couple of emails as well as pictures that she shared with us. When we tried to paraphrase her experiences we realized we couldn't do it as well as she can, so we decided to print her emails in their entirety. This is Jackie Komarowski (Braatz) from Kenosha. I have a couple updated pictures for you! The first one is of me, that was taken last month, April 2007. It was at my rare lung disease convention. Sorry, about the tubing. I'm oxygen (02) 24/7 now, as I only have a third of my lungs left. Oh...by the way! I was diagnosis with a very rare, cancer, last year. There is maybe 350 cases, world wide. It is called Islet Cell Cancer & this involves hormones. It is a slow growing cancer. I've been checked for it twice, since it was discovered at the Mayo Clinic, there in Minnesota. I never had any idea, because I felt no symptoms. All in all, I'm doing great! Let me know about those pictures. At least they are an update from the previous one, which is back from the 80's. I was 33 in that picture. I'm now 52...gee does time fly! Take care & God bless! Hugs! Jackie Moo "Cowlover In Wisconsin" "The God In The Mountain, Is The God In The Valley"
I have no problems with sharing about my Lam disease. I was very fortunate that my pulmonologist (lung doctor), was familiar with Lam. There are a lot of doctor's out there, that have never head of this. Many women, have in turn, been mis diagnosis. Either with asthma or emphysema. Also, some women have both Tuberous Sclerosis, as well as Lam also. Women who don't have both are classified as sporadic Lam. There's still a lot they don't know, but are making discoveries every year. There is no cure for Lam. Feel free to use me on The Braatz Bratz Web Site. If you have any more questions, feel free to ask! I have some awesome news for our family records! One of my Dad's sisters, just turned 100 years old on November 11, 2008. She is the only sibling that did not marry. I have her name copied from the name index of my family records, on The Braatz Family Page. I have only two other aunts that are still living. Both are in their 90's & still doing good! I just had to share that with you! Hope your doing Ok. Your family as well. Feel free to ask me any questions or even, just to drop a line or two! I'm on oxygen (02) 24/7, but am still kicking! I don't know about you, but this gang of Braatz's are fighters & yes, have that German stubborness at times! Having a strong faith in God & being raised to think of the positive side of life, is what keeps me going! To me the "glass is always half full, not half empty"! I have an update for you, concerning my family. My aunt, Edna Alvina Ida BRAATZ, reference number 31. 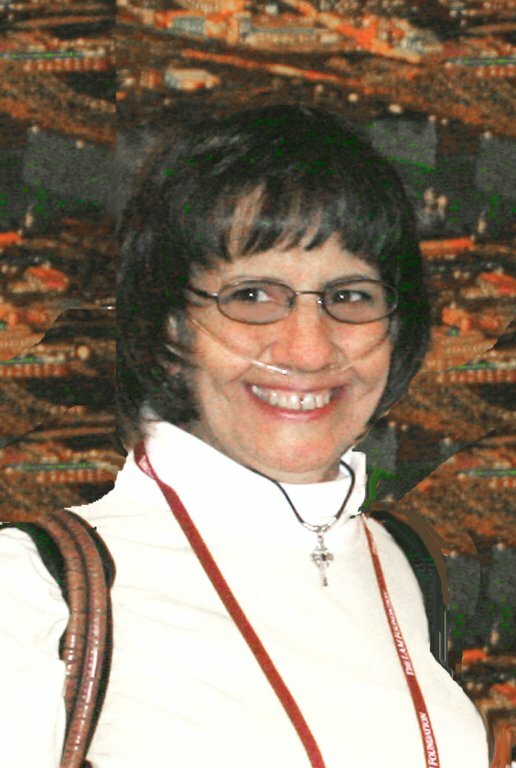 She died at 4:00 PM (CDT) today (10-18-2009 from bone cancer. She died in Wells, Minnesota. She was 95 years old. Not young, she had a long life, but is dearly missed. She was one of my Dad's older sisters. Only two remain now. 1. Christian Friedrich Wilhelm Braatz, b. 1826, Germany. Married twice. b. 1830, Germany, d. 14 Jan 1866, Arnswalde, Brandenberg, Germany. 13, Nov. 1822,   d. 26 Oct 1911. No issue second marriage. and buried there 10 Jun 1872. 1. August Friedrich Braatz, born 24 Sep 1852, Helpe, Germany. 1. Emilie Auguste Braatz, born 29 May 1878, Cremzon, Germany. 2. Herman Rudolph Braatz born 11 Oct 1882, Doelitz, Germany. 1. Wilhelm Herman Franz Braatz, born Stettin, Germany, 15 Oct 1902. 2. Rudolph Karl Otto Braatz, born at Stettin, Germany 12 Sep 1904. 3. Erich Otto Braatz, born Stettin, Germany 14 Feb 1907. Living in Germany in 1935. 3. Franz Richard Braatz, born 15 Sep 1885 at Doelitz, Germany. 4. Minna Martha Elise Braatz, b. 25 Sep 1888 at Ludolphehof, Germany. on 30 Nov 1907. He died prior to 1934. She was living in Germany in 1935. 5. Ernst Otto Emil Braatz, born 27 Nov. 1889, Vormack, Germany. 6. Marie Braatz, born Cremzon, Germany. Married Herman Zastrow. Was living in Vineland, New Jersey in 1935. 7. August Braatz, b. Germany, living Germany, 1935. 2. Johanna Luise Wilhelmine Braatz. Born 2 mar 1854, Helpe, Germany. Died 25 Jan 1860, Arnswalde, Germany, buried 28 Jan 1860. 3. Hanna Friedricke Braatz, born 17 Oct 1855, Arnswalde, Germany. Died 14 Sep 1857, Sturtziegelie, Germany. Brandenberg,  Germany. Married 9 Apr 1883, Arnswalde, to Augusta Dietz. Turney Hill Cemetery, Liberty, Outagamie Co., Wisconsin. m. 23 Dec 1934, Robert Alexander Bates. Still living. Wisconsin, bur. 24 Dec. 1968, Wittenberg, Shawano Co., Wisconsin. 6. Gustav Ferdinand Braatz, born 31 Aug. 1863, Arnswalde, Germany. Illinois, bur. Waldheim Cemetery, Chicago. No issue. 7. Luise Maria Braatz, born 9 Jan1866, Arnswalde, Germany. Died 23 Jan 1866, Arnswalde. Emil Carl Braatz, Sr. came to the U.S. from the Pommeranian area of Germany. His wife was Elizabeth Wolter. He had one son born in Germany named Paul. He had 3 more sons and 4 more daughters. He lived in the Stettin area of Marathon County in Wisconsin. His son Emil Carl Braatz, Jr. presently lives on that farm. Emil's wife Verona is putting together some genealogical history. Paul Braatz and Elsie Osterbrink 2 of Emil Sr,s children died in the past few years. Elizabeth Braatz died at age 4. 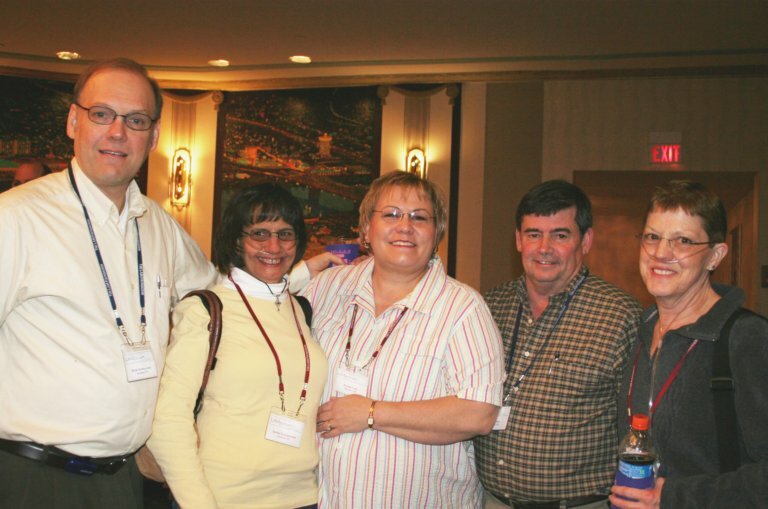 Erna Prosser, Walter Braatz, Edna Fletcher and Richard Braatz all live in the Wausau , WI area. Emil Carl Braatz, Sr,'s father is uncertain. He had a grandpa Uttech in the U.S. It is unknown for certain what his father's name was. Verona and Emil Braatz continue to keep contact with some of Emil's German relatives. This is from their daughter Carlene Braatz.